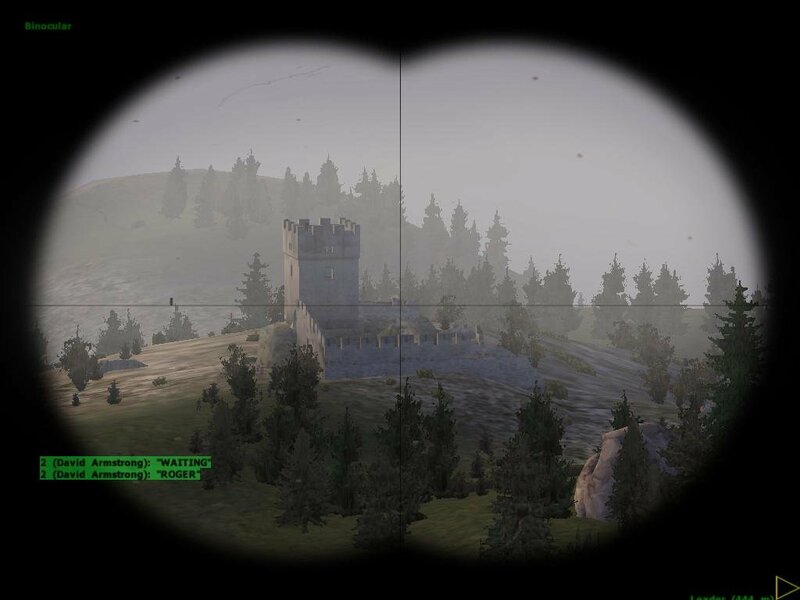 The open-world tactical shooter grows up. Nothing beats being part of a team. 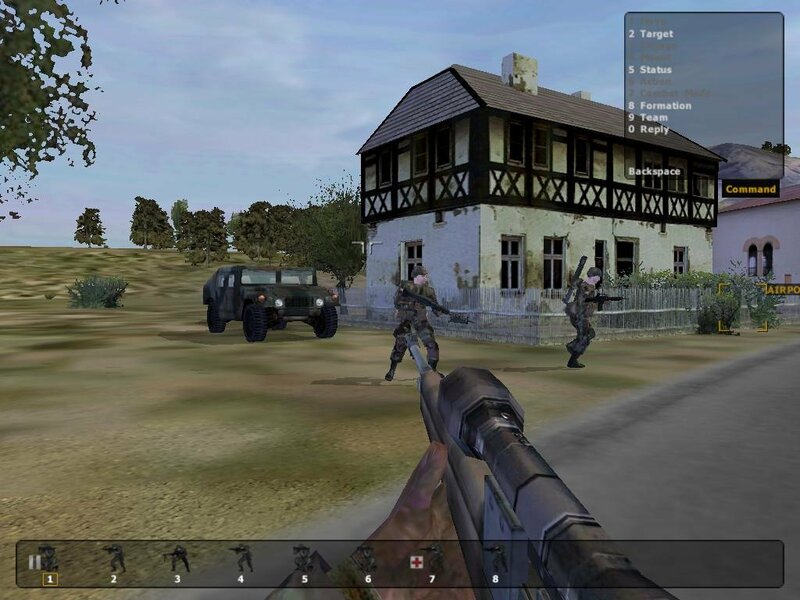 Lots of squad-based shooters have hammered that home despite the troublesome AI that defined these early attempts. 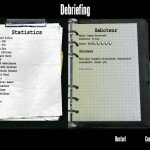 But whether they’re completely AI-driven (Rainbow Six, Hidden & Dangerous, SWAT 3) or have the advantage of human players (Battlefield 1942, Counter-Strike), the ability to work with or command teams of specialized soldiers on a variety of missions adds a tactical depth that simple deathmatch lacks. 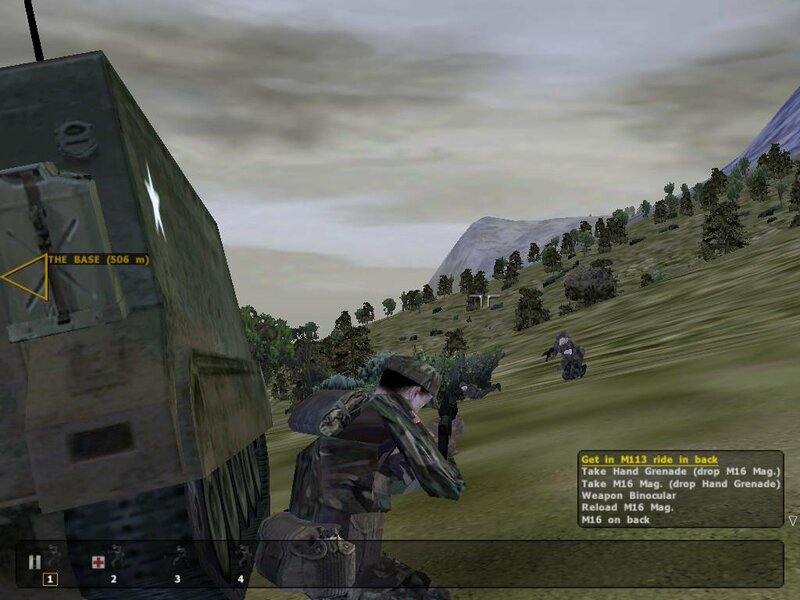 Being the great grand-dad of Czech-based Bohemia Interactive’s ARMA (Armed Assault) series, Operation Flashpoint is a first-person shooter with a heavy military bent. 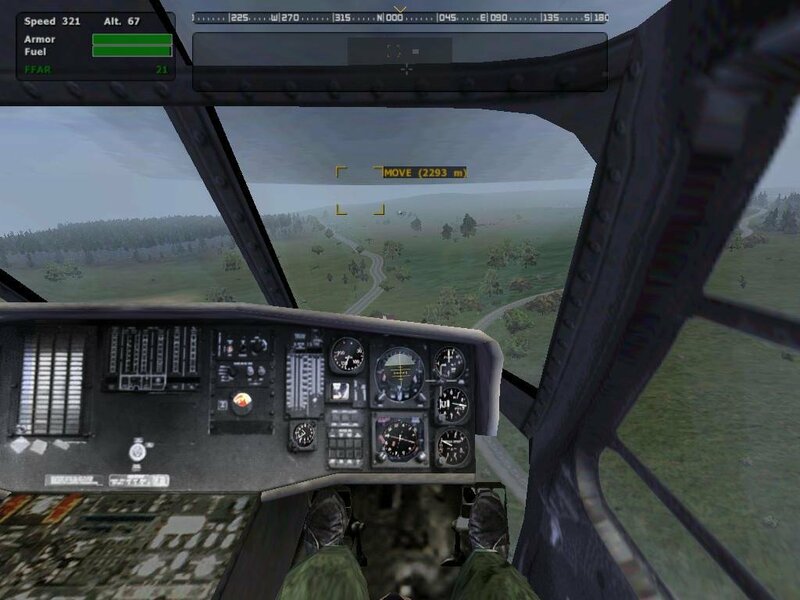 Much of the time you play as a foot soldier, but you also serve time as a tanker, black ops commando, helicopter and jet pilot via the perspectives of three other playable characters. 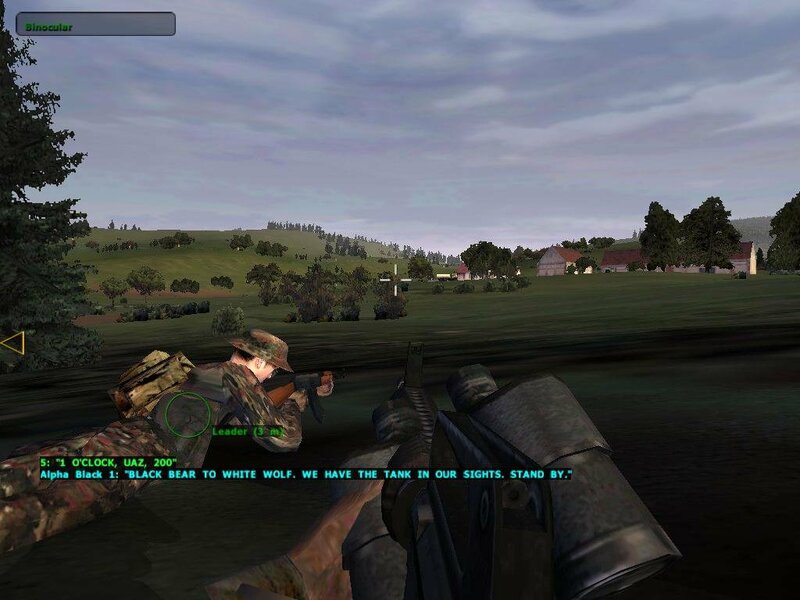 The single-player game is mission based, a series of engagements involving the defense and reconquest of a fictitious group of European islands that come under attack by the full military might of the Soviet Union during the Cold War. 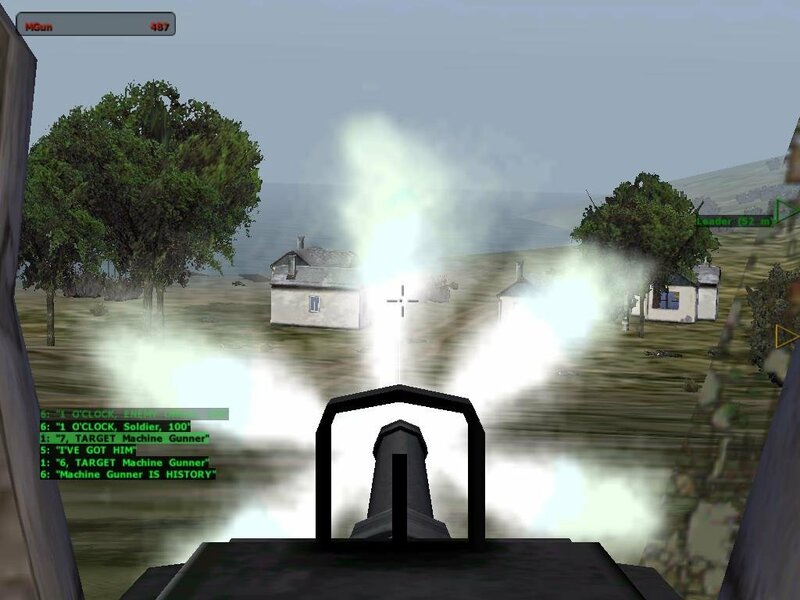 Unlike other games of its pedigree, OFP really did push the envelope as far as simulating the combat environment. 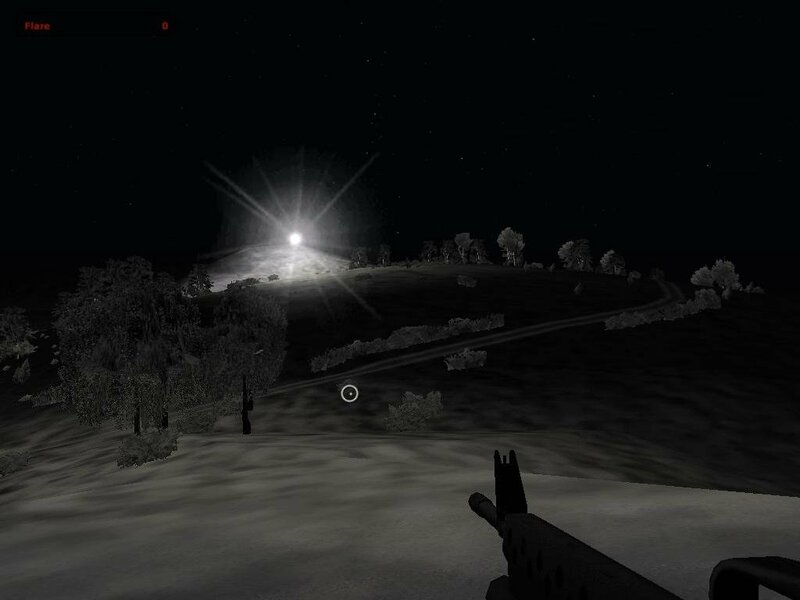 The game features a hard-to-grasp but ultimately thorough command and control structure that lets you order a squad of soldiers, a ‘sim portion’ which attempts to model weapon and vehicle physics (to varying degrees of success), and subtle things like fatigue, aiming difficulties while on the run, a realistic day-night cycle and even a genuine star map and lunar phasing. 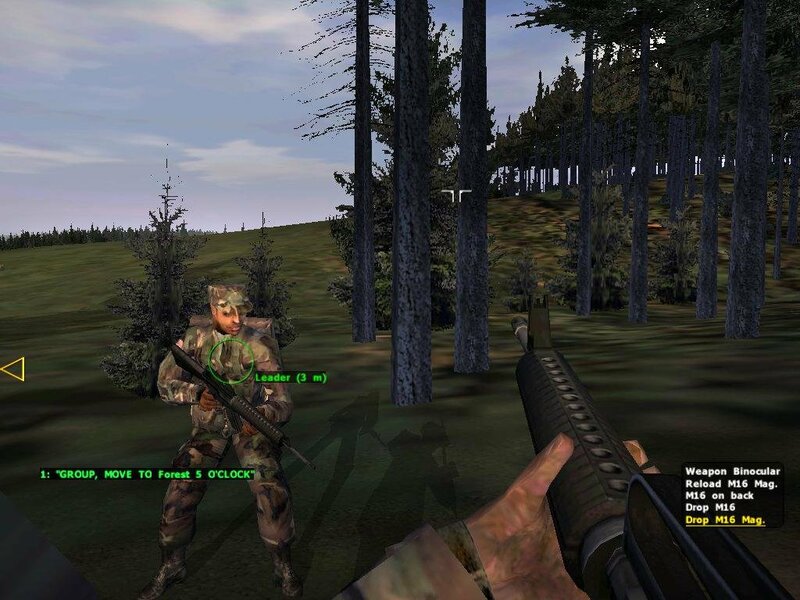 The intent is to place you squarely in the boots of a grunt—in both first and third person—as few other shooters have. 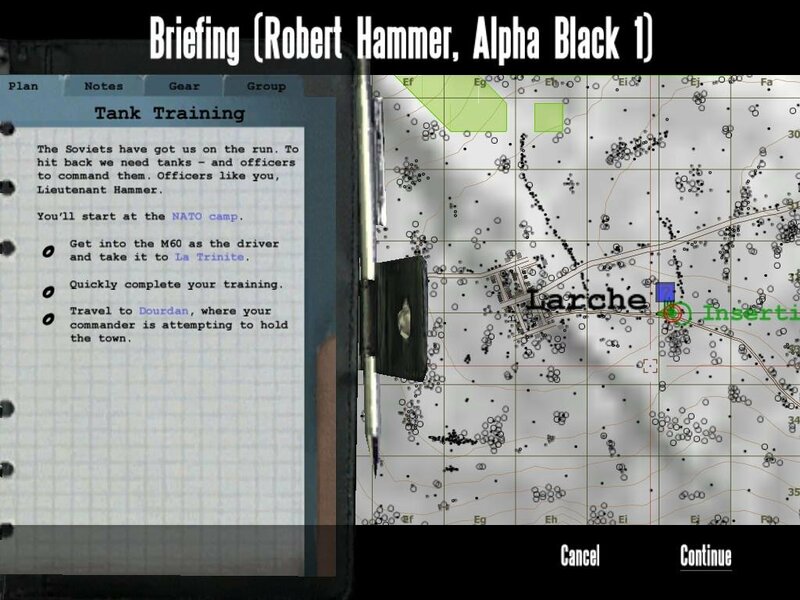 You can examine detailed mission plans. 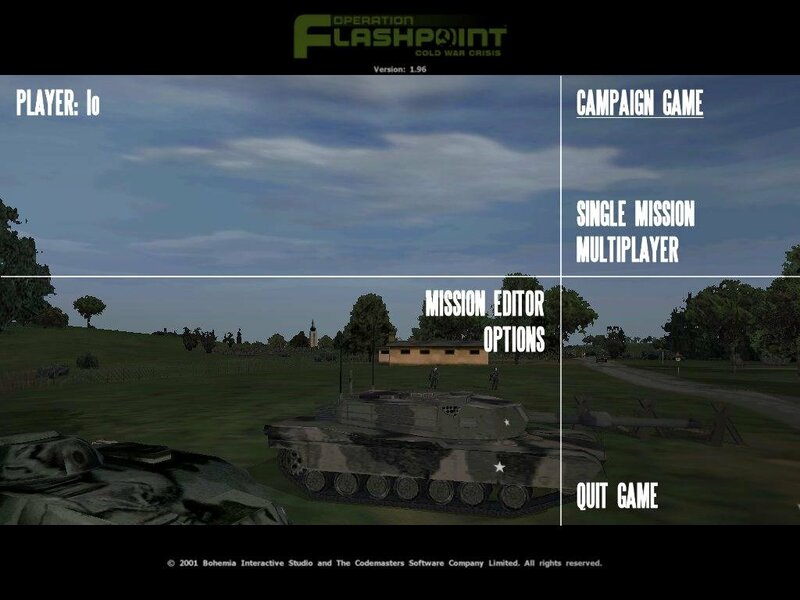 While other such games have included a limited ability to drive vehicles around, Flashpoint goes one step further and makes it an integral part of your job. 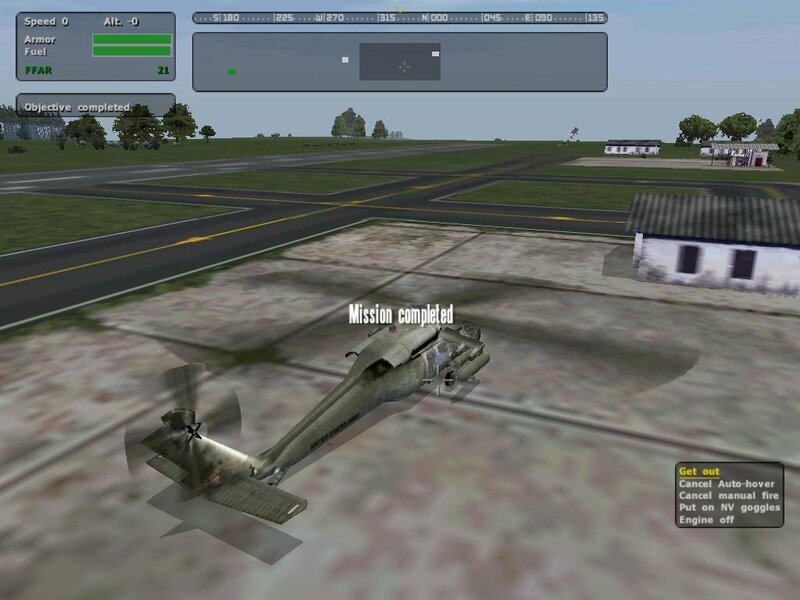 In fact the game contains several simulations – you can fly planes and choppers, drive jeeps, trucks and tanks, pilot attack boats or man mobile anti-air guns. In the spirit of strategy games, every vehicle has a weapon or counter-vehicle stopping it from becoming the ultimate killing machine. Infantry get massacred by tanks but tanks are sitting ducks for helicopters, while they fall prey to AA guns which in turn get destroyed by tanks and RPG infantry. Semantics aside, the main focus here is the singleplayer campaign containing a whopping 45 missions. 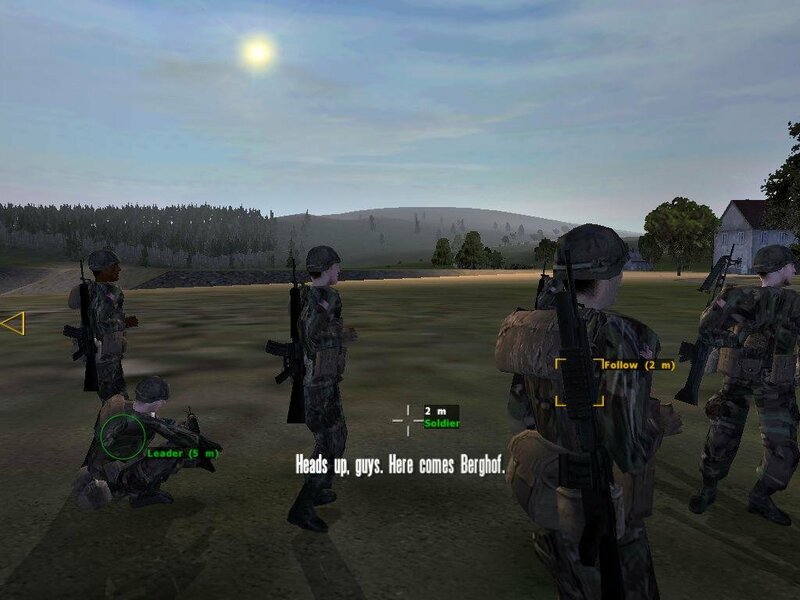 Though you start the game as a lowly corporal, taking orders from your squad sergeant, you rapidly gain more responsibility and eventually gain control of multiple men and machines. 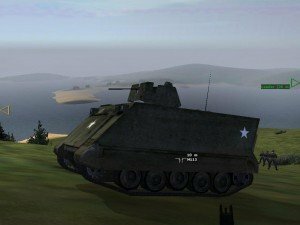 The story allows for a good variety of missions, ranging from all-out assaults to stealthy behind the lines assignments, Blitzkrieg-esque tank rushes and air assaults. 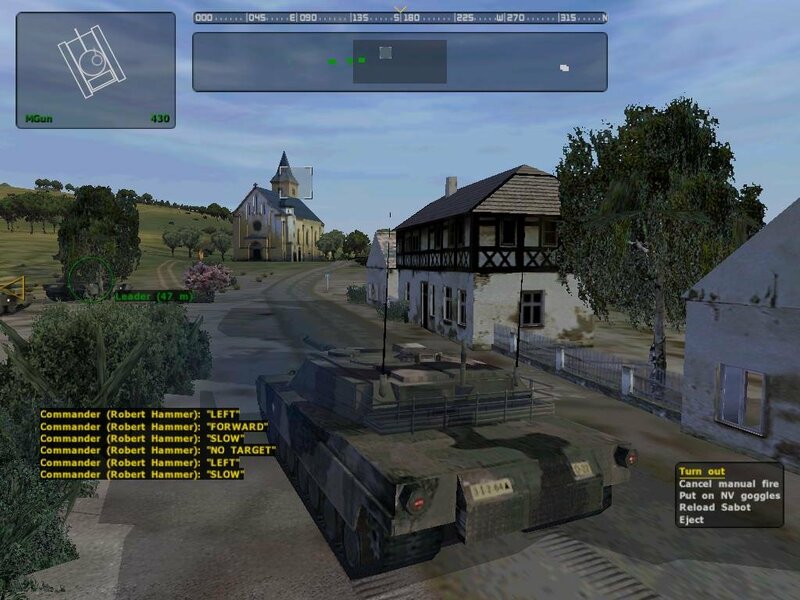 There’s of course no shortage of creativity blending all of these aspects together, so you’ll frequently command ground-based town assaults with the help of tank platoons and air cover, sometimes calling them in at your discretion. 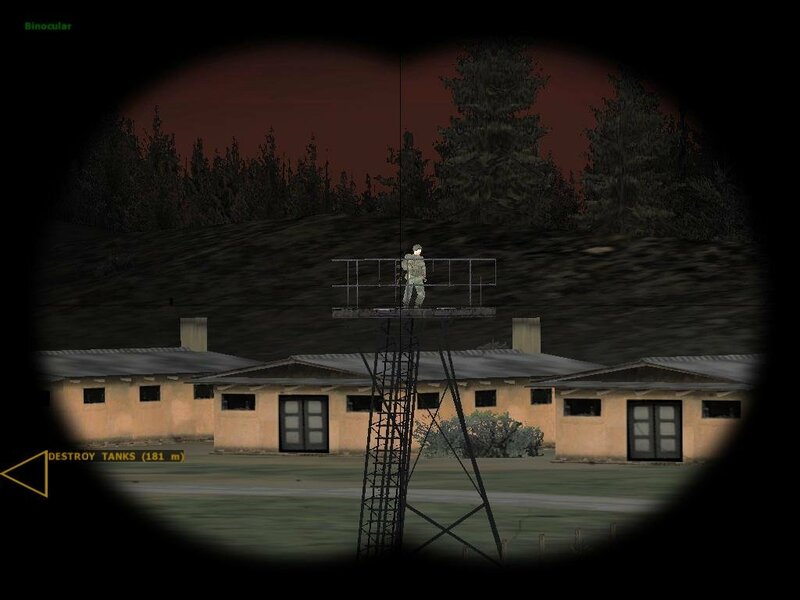 In a few unusual twists you’ll find yourself stuck behind enemy lines and must carefully sneak past Soviet defenses, while in Special Ops missions you’re purposefully dropped into enemy territory under the cover of darkness to sabotage the Soviet war machine. Behind the controls of a UH-60 Blackhawk. 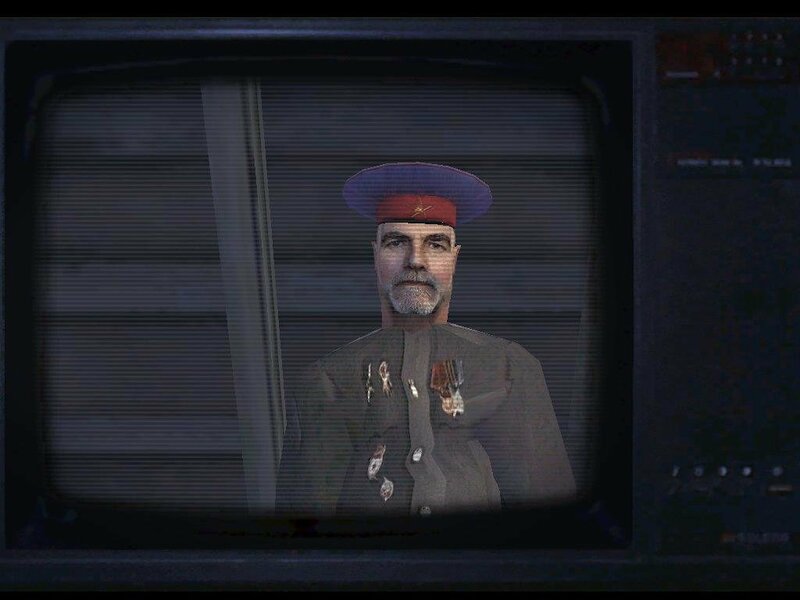 Observing a Soviet compound as a Black Ops. All of this would be great if it weren’t for the extremely neurotic AI and grueling difficulty. 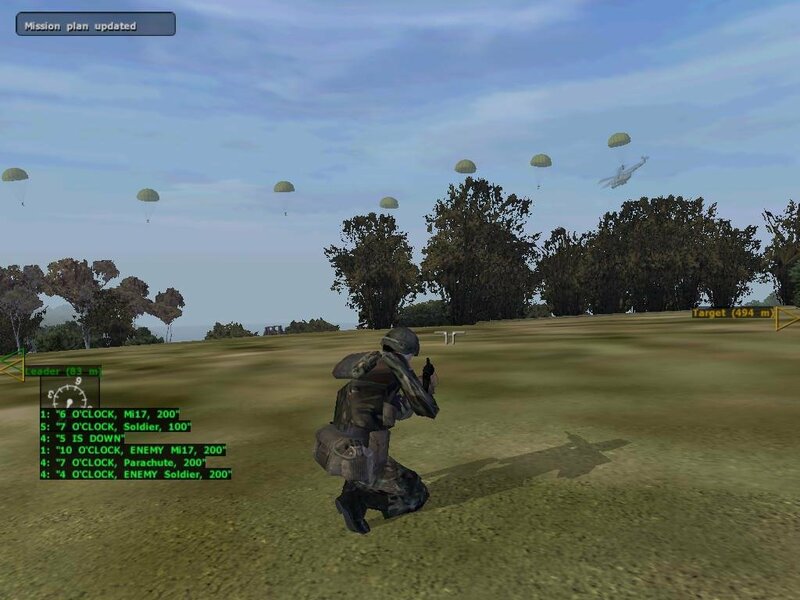 Credit where it’s due, the artificial intelligence as a whole can pull some cool tricks, to the point where it’s eerily similar to later ARMA games – fire at a squad of enemy soldiers and they immediately hit the deck and scan the environment. 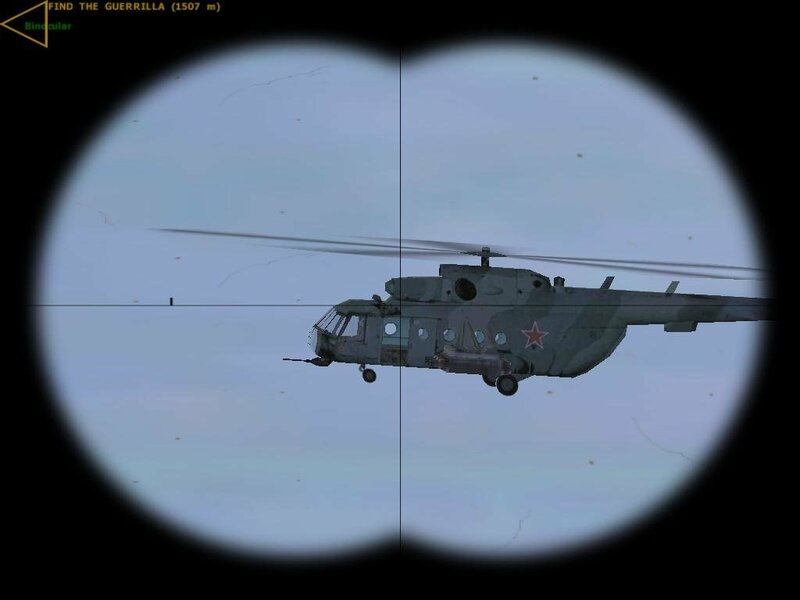 Kill most of a group and the remaining men will flee in terror, and calling in a pair of attack choppers will yield some really cool close air support. 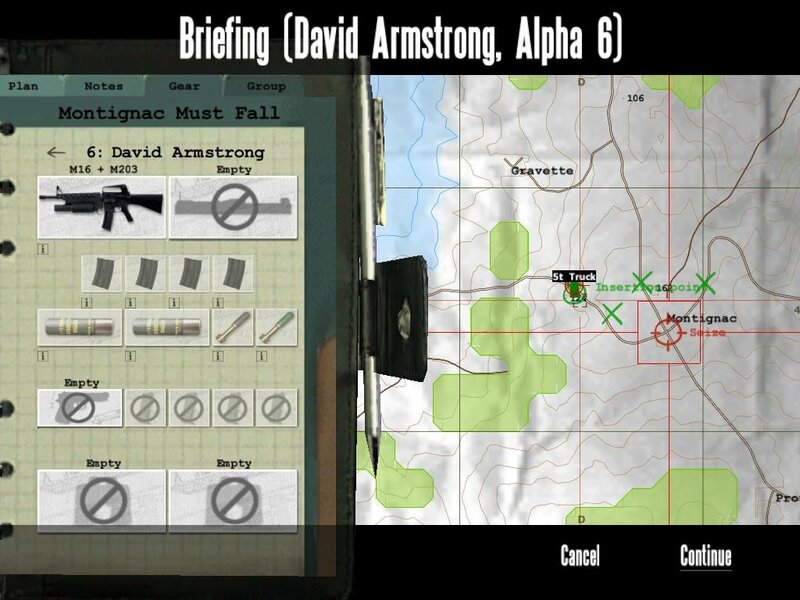 The AI is good on a squad level as well, with soldiers actively communicating enemy locations and marking them on your interactive map, and once in full control of a squad you can order a whole deal of actions and behaviors to suit your combat strategy, from changing formations to scavenging ammo or boarding vehicles. 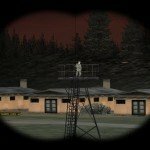 Soldiers are pixels at 200 meters. The AI, however, can shoot you quite easily. But while your men can routinely claim long-distance kills in a raging battle, the same unfortunately applies for the Soviets. 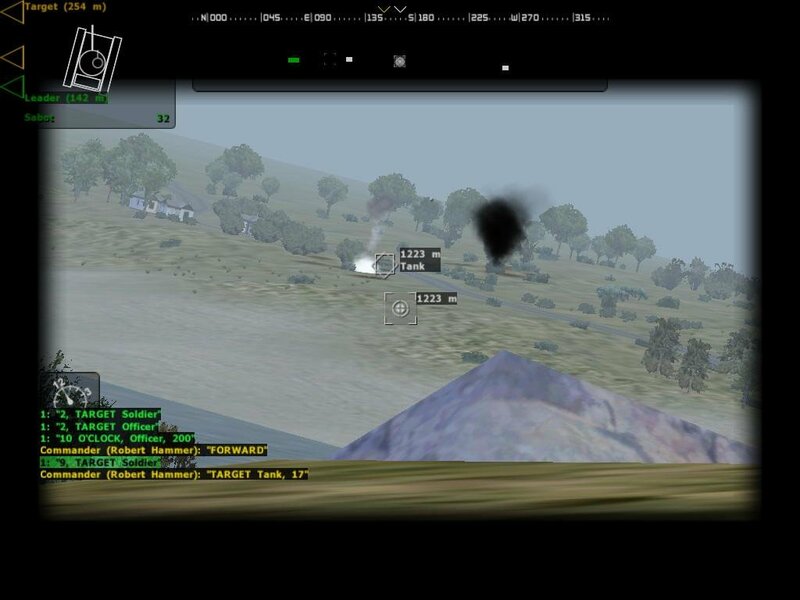 Typical platoon-level combat takes place at around 250 meters (even more with tank and air battles), making precise shots and acute awareness of your surroundings an absolute must. But with pixaleted specs able to surgically plant bullets into your noggin from insane distances, the game often comes off as frustratingly unfair. 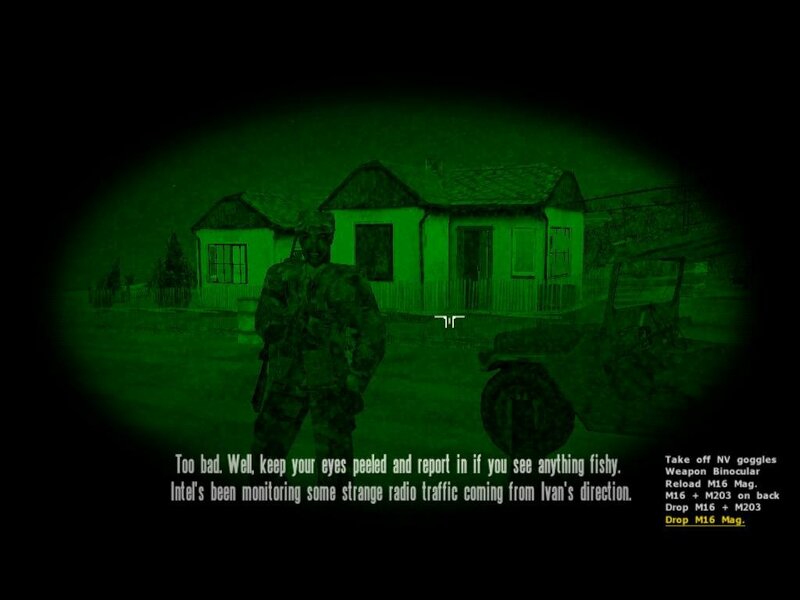 It’s all too easy for you to mind your own business and immediately die of some AI’s bullet fired from hundreds of meters away. In conclusion, you will die lots. If there’s any one fault to OFP, it’s the fact that the game’s too unfair, too eager to punish one for any miscalculation, and all to eager to ruin your day when engrossed in its complex intricacies. And when the game doesn’t hate you, it’s just dodgy. 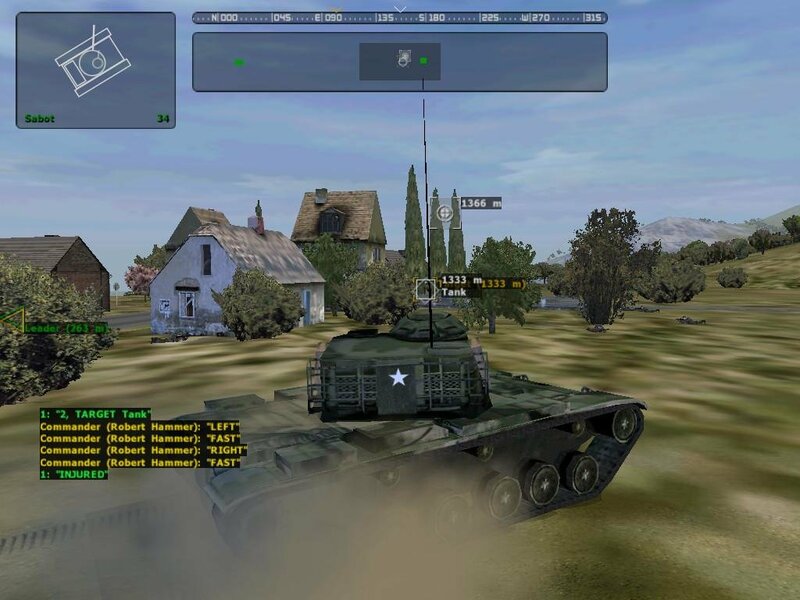 Take the otherwise passable tank missions where you play a commander hunting Russian T-72s. 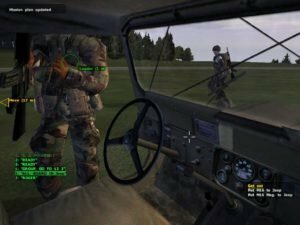 Being the commander, you’re job is to to relinquish driving and shooting to AI team-mates, which is a bit like relying on two idiot savants. The gunner can plant shots with the surgical accuracy of a computer, which is useful, but the AI driver is barely able to follow a straight path. Glitchy and extremely difficult parts like these are what almost kills the game at times. Likewise, scenarios are robust and allow for alternate strategies, but are too dependent on well-oiled scripting to function. Break the scripting by accident, or just have the flaky AI do something stupid, and you’ll encounter instances where you fail from no fault of your own. 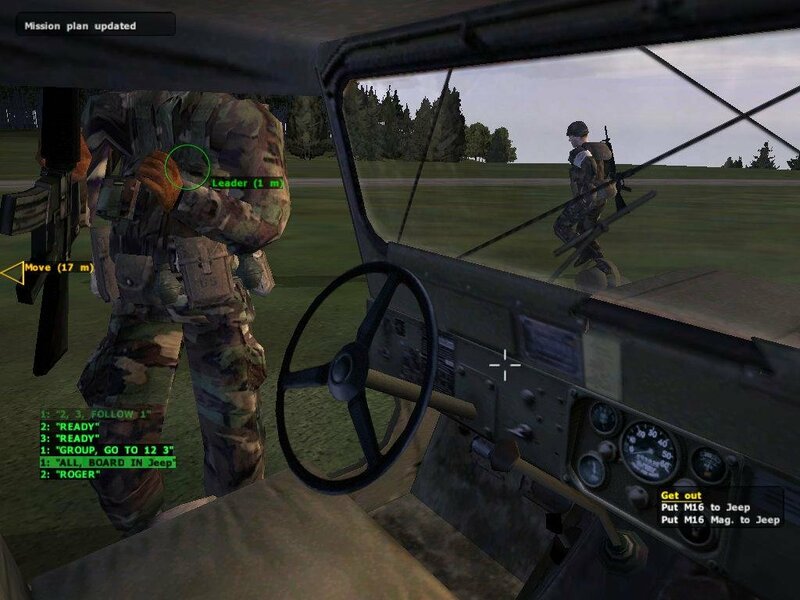 This happened to me multiple times – once my commanding officer flipped the Jeep he was driving, killing all of us and failing the mission. 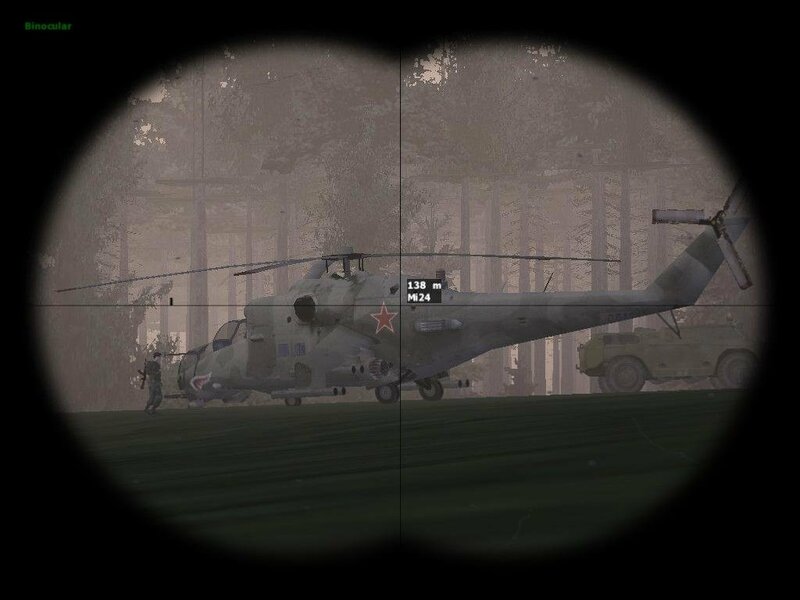 In another I had to wait for air support to destroy some heavy armor – choppers were zooming overhead, but wouldn’t shoot the tanks for 30 minutes. Yet despite these faults, the truth is I enjoy OFP a lot more than I hate it. 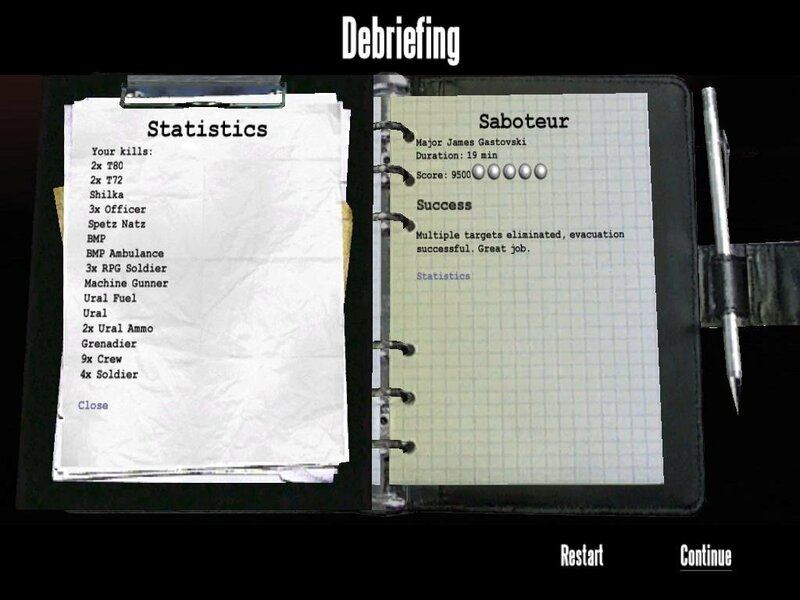 Part of this is the campaign itself, which, although faulty, is a lot more believable and fun to tackle than later ARMA games. 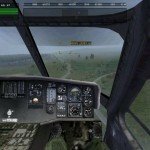 Even better is the sheer amount of customization you can apply to the game overall, boasting more available mods by virtue of the game being around longer than ARMA. You can find total conversions replacing every unit in the game with high res counterparts, or import any number of third-party tanks, planes, small arms, units and whatnot. The included Mission Editor lets you create your own scenarios with a little imagination and minimal coding skills, which you can then play with your friends for some intensely fun LAN co-op. Imagine jumping into a King Tiger with one guy driving, another shooting and you, as the commander, calling out targets. Or assault a town while your pal provides close air support with his F-16, or why not just throw in the Starship Enterprise! Draw distances exceeding 4 kilometers. Nice. 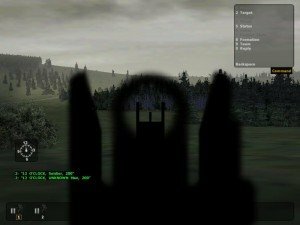 With multiplayer, a full editor, great modding prospects and a colossal user community, this is a game that every fan of military shooters should at least try. Although the grueling difficulty and occasionally unfair AI will drive off less forgiving players, the sheer scope and execution of it all is impressive. 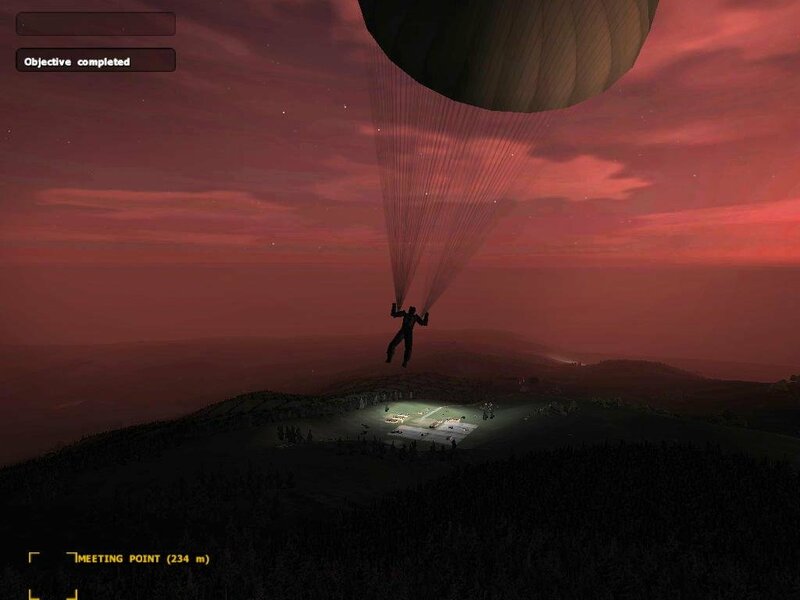 If anything, Bohemia Interactive proves that you don’t have to be big to do big things. 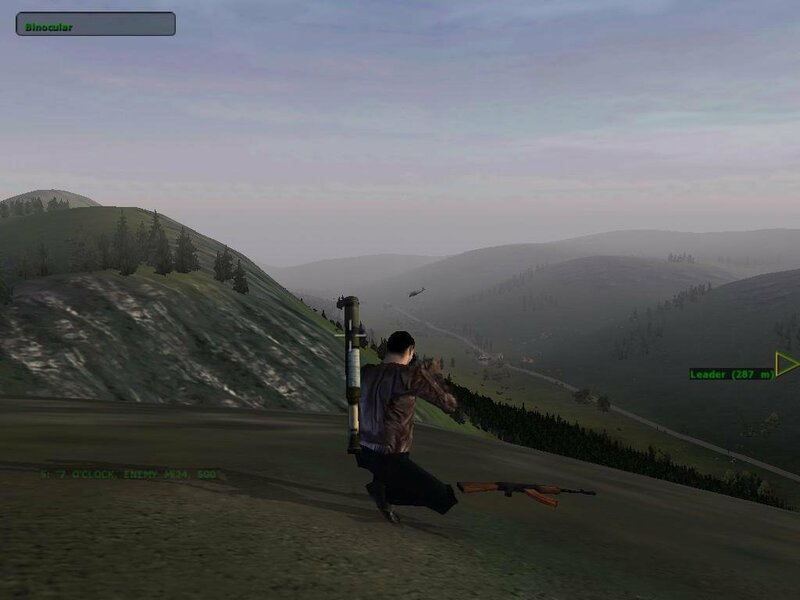 With something of the same spirit shown by their countrymen almost fifty years ago when they challenged the USSR during the “Prague Spring” of 1968, the Czech company fearlessly took on the daunting task of building a realistic military shooter, and they’ve won. ty. used to play ofp a long time ago. :-) B-) cool sim. You guys should receive an award. I downloaded both of the parts but it says open with some programs that won’t run it. Am I supposed to extract one of the parts into one the other or what? please reply. Will this play on Win 10? I loved this game. but in disc3 file there is 2 files but no iso files ! play on Elite difficulty, the ai discrepancies are all ruled out. There is no disc 3 in second part. Whats wrong? I think I have all of the files. I mounted the first disk and started the install but 75% of the way through it, it asks for disc 2. The disc2 which is in the Disc2 ISO is 0kb and the type of file listed is “File”. How do I mount it? basically the same question as latrel. I get disk2 as 572 mb. I guess you should redownload. try the magnet link with utorrent. That works, I was able to mount all the discs. But when the installation is finished, it gives me the “this program has stopped working” popup. after I closed it, I looked in my c drive and everything looks like its installed in the codemasters folder, but when I run the patches, they say I dont have OFP installed or it’s corrupted. any suggestions? Don’t know. I haven’t tested this in win 7/8/10. 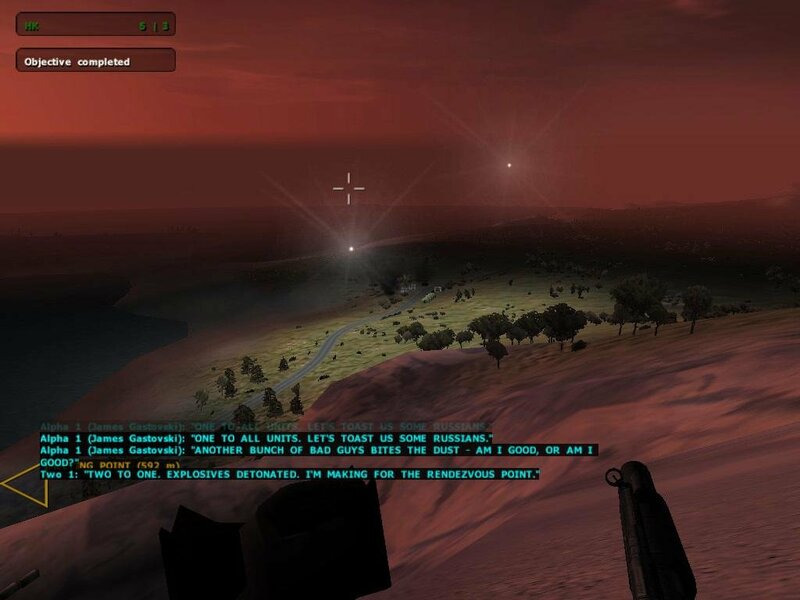 i only know it works in XP where i took these screenshots. sorry. Well thanks anyway. I’ll keep messing with it. Some people forget to download part 2 of the download and are then surprised that they can’t find disc 2. I started to install disc 1. before finalizing installation it requires disc 3. but there is no auto run or exe file in disc 3 even in disc 2.